Montreal, Canada – Saudi Arabia’s decision to expel Canada’s ambassador, recall thousands of students studying in the North American country, and suspend future trade with Ottawa took many off guard this week. Saudi authorities pointed to a series of tweets, in which Canada’s foreign affairs ministry called for the release of jailed Saudi human rights activists, as the reason for the ongoing diplomatic flare-up. But experts say the spat is not about the statements, but rather, it’s the latest attempt by Riyadh to warn other countries of the consequences of speaking out against the kingdom’s human rights record. “It’s pretty clear that [Saudi Crown Prince Mohammed bin Salman] is using Canada to send a message to the rest of the world that if you want to trade with Saudi Arabia, then you need to shut up on human rights,” said Nader Hashemi, director of the University of Denver’s Center for Middle East Studies at the Josef Korbel School of International Studies. The crown prince, commonly referred to as MBS, “is drunk on power and arrogant and suffers from a deep dose of youthful naivete and believes that he has [US President] Donald Trump in his back pocket and can do whatever he wants”, Hashemi told Al Jazeera. Since coming to power in 2015, MBS has sought to be portrayed as a reformist at home, while at the same time instituting more aggressive policies abroad. He has been accused of being the “architect” of the devastating war in Yemen that has led to a humanitarian crisis, enforced a blockade of Qatar, detained dozens of members of the Saudi royal family, and confined and reportedly forced Lebanese Prime Minister Saad Hariri to resign. The conflict with Canada is bin Salman’s way of establishing new rules for how countries deal with Saudi Arabia, Hashemi said. On Monday, Saudi Arabia accused Canada of “blatant interference” in the country’s affairs, after Chrystia Freeland, Canada’s minister of foreign affairs, called for the “immediate release” of jailed Saudi human rights activist Samar Badawi and others. Badawi’s brother, blogger Raif Badawi, is also jailed in Saudi Arabia. His wife and children live in the Canadian province of Quebec, and they were recently granted Canadian citizenship. “It is a major, unacceptable affront to the Kingdom’s laws and judicial process, as well as a violation of the Kingdom’s sovereignty,” the Saudi Ministry of Foreign Affairs said in a statement. However, Canada’s comments were not particularly out of the ordinary, said Thomas Juneau, an assistant professor at the University of Ottawa who specialises in Middle East politics. Instead, the tweets should be seen as “the spark that lit the fire” on already simmering Saudi frustration with Canada, Juneau told Al Jazeera. That’s due in large part to the debate around an $11bn ($15bn Canadian) weapons deal with the Saudis, which, though conceived and approved by his predecessor, Canadian Prime Minister Justin Trudeau’s government quietly signed off on in 2016. Trudeau has been forced to defend the agreement ever since, amid unrelenting questions from Canadian human rights groups and media about how the Saudi authorities plan to use the light-armoured vehicles (LAVs) Canada will supply. For the Saudis, that negative coverage – and the Canadian government not forcefully coming to their defence – caused “building frustration and irritation” over the last two years, Juneau said. “They were hoping for the Canadian government to take a much more proactive approach to defend and promote relations with Saudi Arabia, which absolutely did not happen,” he said. Saudi Arabia has also given Saudi students studying in Canada one month to leave the country, promising to place them in other schools abroad or in Saudi Arabia. “I would like to reassure our students in Canada that your government is keen on your study future,” said Ahmed Al-Eissa, the Saudi minister of education, according to the Saudi Press Agency. A total of 11,650 Saudi students were enrolled in long-term study programmes in Canada in 2015, according to a report prepared for Canada’s foreign affairs ministry. Another 5,622 short-term Saudi students were in Canada that same year. Saudi Arabia recalled its own representative in Ottawa, suspended future trade with Canada, and Saudi health officials also announced they plan to transfer all Saudi medical patients in Canadian hospitals to other medical facilities outside the country. The Saudi government has also set up “operations rooms” in Ottawa and Riyadh to support its citizens in Canada, it said. Reuters news agency reported that Canada was seeking mediation through the United Arab Emirates and the UK, but Saudi Arabia’s Foreign Minister Adel al-Jubeir publicly rejected any such effort. “There is nothing to mediate. A mistake has been made and a mistake should be corrected,” al-Jubeir told reporters in Riyadh, the news agency reported. On Wednesday afternoon, Trudeau said Canada’s foreign minister had long discussions with her Saudi counterpart this week, and “diplomatic talks continue”. Canada has always sought to build relations with countries, while keeping the ability to raise human rights concerns when they arise – and that’s been Ottawa’s approach with Saudi Arabia, as well, Trudeau said. “We will do so in a constructive and polite way, but we will also remain firm on standing up for human rights everywhere around the world,” he told reporters during a press conference in Montreal. Also on Wednesday, the Saudi embassy in Canada tweeted that the government “is looking at implementing additional measures against Canada”, but it did not elaborate further. In a statement earlier in the week, Freeland said “Canada will always stand up for the protection of human rights, including women’s rights and freedom of expression around the world”. “We will never hesitate to promote these values and we believe that this dialogue is critical to international diplomacy,” she said. How Canada will handle the dispute going forward remains unclear, said Juneau at the University of Ottawa, though he said he would be surprised to see bin Salman deescalate the situation any time soon. “I’m not optimistic that things will change soon, simply because MBS has been so not willing to walk back from his assertive gestures, whether it’s Yemen, or Qatar, or others,” Juneau said. That was echoed by Hashemi, who said it will only be resolved if Canada or Saudi Arabia backs down, which appears unlikely. “If Canada backs down, then it’s no longer the liberal democracy that it claims to be”, he said. Federal elections are also taking place in Canada next year, which may push Trudeau to adopt whatever stance vis-a-vis the Saudis that appeals to the most Canadian voters. 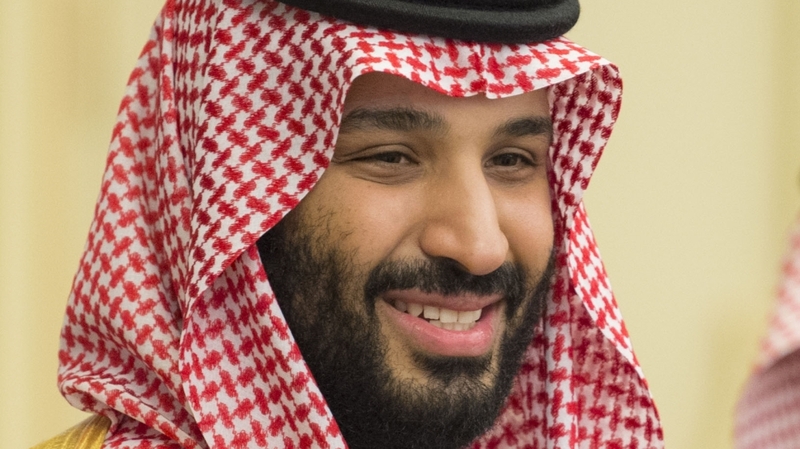 For his part, MBS has a lot invested in the situation already, Hashemi said, and he hopes “he can prevail here so that other countries will think twice before they criticise his policies”. The future of the $11bn weapons deal also remains uncertain, said Cesar Jaramillo, executive director of Project Ploughshares, a Canadian anti-war group that has been one of the most vocal critics of the weapons deal. Global Affairs Canada did not respond to Al Jazeera’s request for comment on whether the agreement would go ahead despite the diplomatic row. While Jaramillo said he welcomed the government raising concerns about the jailing of Saudi human rights activists, the more relevant concerns around the deal relate to the likelihood the weapons will be misused. To date, he said Ottawa has largely given Saudi Arabia a pass on human rights violations in order to go ahead with the transfer, and it would be ironic if Saudi Arabia were to cancel the deal now. “Canada has bent over backwards over years and assumed what we consider to be a no-matter-what attitude,” Jaramillo told Al Jazeera. Whatever happens, Jaramillo said it would be an “indefensible” reflection of “policy incoherence” for Canada to stick with the agreement in the face of the Saudi government’s recent statements and actions. “It would detract from and undermine Canada’s purported firm stance around human rights in Saudi Arabia,” he said.